Optus 10 Satellite at launch. 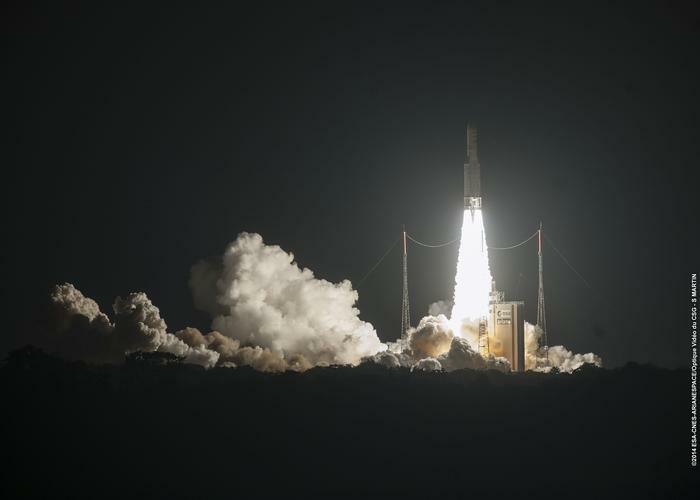 Optus launched the satellite on September 12 (AEST) from Guiana Space Centre in Kourou, French Guiana (September 11 local time) to expand its fleet capacity and provide in-orbit redundancy. The satellite’s payload is designed with a high level of flexibility, enabling it to operate in either the Ku Fixed Satellite Services (FSS) or Broadcast Satellite Services (BSS) bands, according to Optus. The testing process was conducted from the telecommunications provider’s ground facilities in Sydney, Canberra, and Perth. Optus staff worked with satellite manufacturer, Space Systems and the Loral’s Mission Control Centre in the United States during the period. Optus 10 is expected to reach its permanent location by the end of this month. Once the drift is complete, it will begin operating, adding to Optus’ existing fleet which supports corporate, enterprise, and government customers in Australia, New Zealand, and parts of the Antarctic.